Hi there! 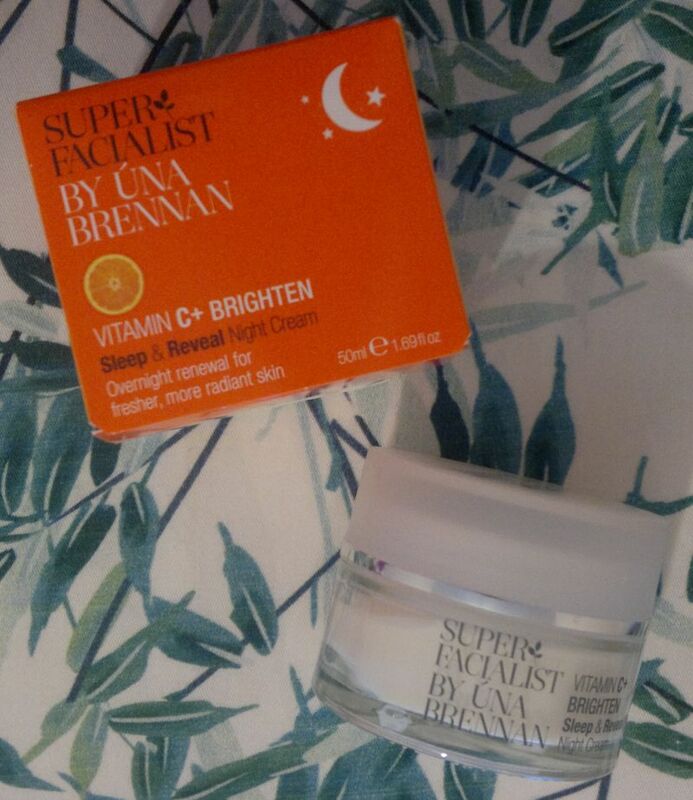 Today’s post is about my current night cream – Super Facialist By Una Brennan Vitamin C + Brighten Sleep & Reveal Night Cream. This night cream promises to rejuvenate skin, to give skin a radiant glow, and to make skin feel smoother. I’ve been using this night cream since early October, and here’s what I think. The first thing I noticed about this night cream was its citrus fragrance. I love the smell and taste of lemons, oranges and grapefruits, but this citrus fragrance is not my favourite because it’s not very natural, and it’s too strong. I find the night cream quick and easy to use. It’s absorbed in seconds, and it feels rather light. Based on this, I think the formula is most suitable for those with normal to oily skin. I can also see that it would work well as a summer night cream. However, I don’t think it’s the best night cream for dry skin like mine – at least not for the colder seasons. I don’t think that this night cream has had any effect on my skin texture or that it improved the look of my skin. It didn’t make my skin feel smoother, and it didn’t make my skin look rejuvenated or more radiant. Based on my experience, I would not recommend this night cream if you have dry skin. I won’t buy this face cream again. However, if you have normal to oily skin, and you’re looking for an inexpensive night cream with vitamin C, this one might be worth a try. 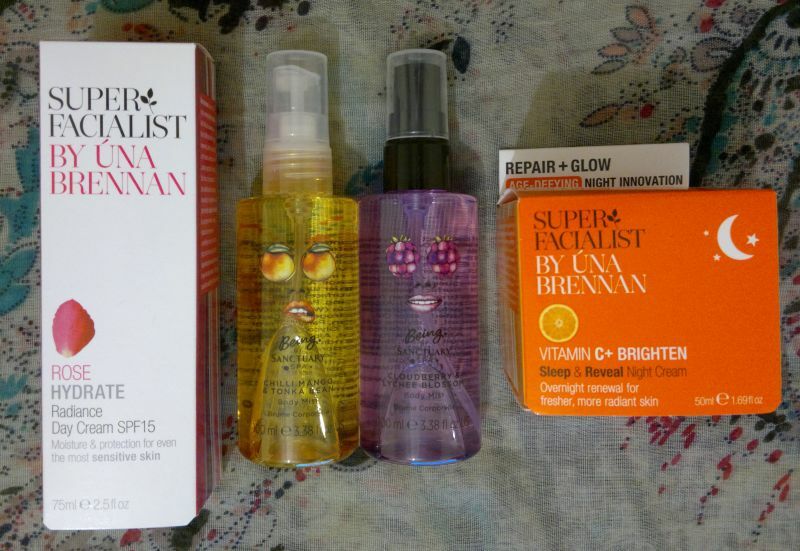 Super Facialist By Una Brennan Vitamin C + Brighten Sleep & Reveal Night Cream is available as 50ml. I paid £6.99 (TK Maxx). Hi there! Today’s post is about a face mask that I picked up for £4 – Super Facialist By Una Brennan Rose Hydrate Intense Moisture Mask. 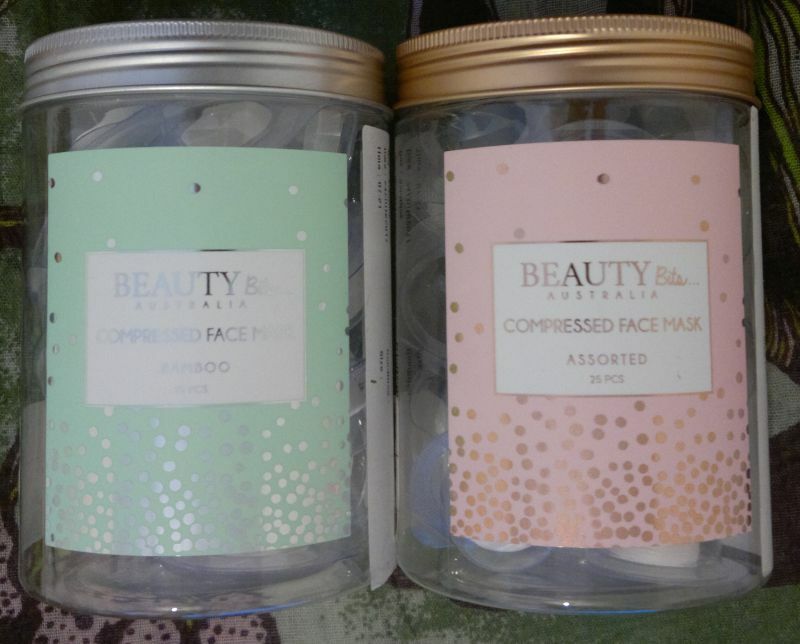 This mask is aimed at people with dry or sensitive skin. And it promises to boost skin moisture levels and radiance. The mask contains white willow extract, vitamin E, urea and marshmallow extract (!). And apparently these ingredients have hydrating, calming and replenishing properties. How does it work? You’re supposed to apply the mask to your face and neck after cleansing and leave it on for 5 minutes. Then rinse with warm water. Done! Is the mask any good? Yes and no. If I stick to the instructions, the mask leaves a residue on my face. It’s awful. I have to admit that it makes my skin feel soft to the touch, but it feels fake and the residue seems to dry out my skin. However, I’ve been experimenting with the product, and I found a way to make it work for me. 🙂 I apply the mask first thing in the morning (usually on a Sunday), and I leave it on for 30 minutes. Then I follow with my regular morning routine, which means that I wash my face with a foaming cleanser and a sponge. All in all, I’m happy that I found a way to make the mask work for me. If you’re interested, Super Facialist By Una Brennan Rose Hydrate Intense Moisture Mask is available as 125ml for £4 (TK Maxx). 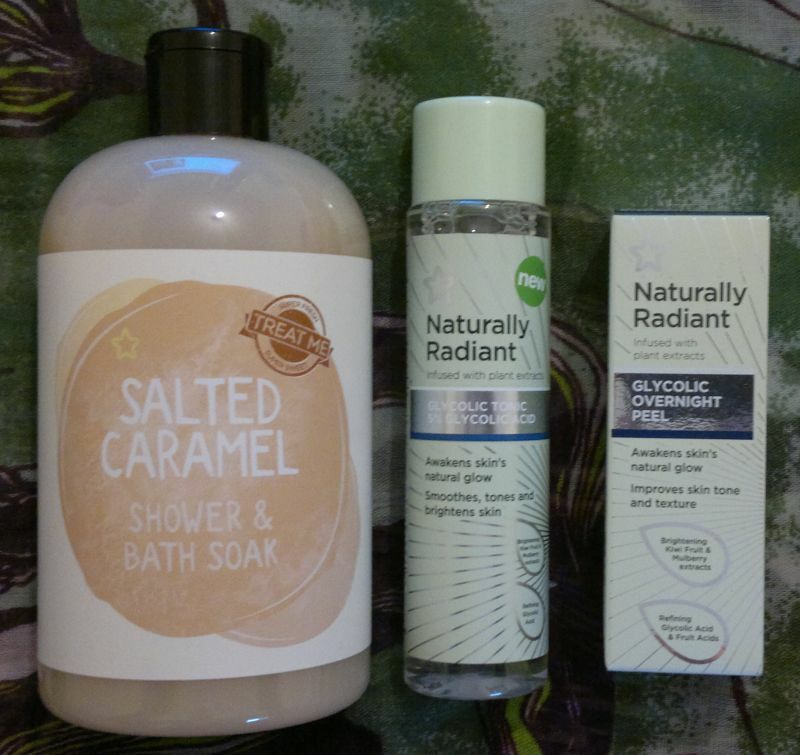 I picked up 3 Superdrug items – a Salted Caramel Shower & Bath Soak (£1.47), a Glycolic Tonic (=toner) and another Glycolic Overnight Peel to replace the one I finished. 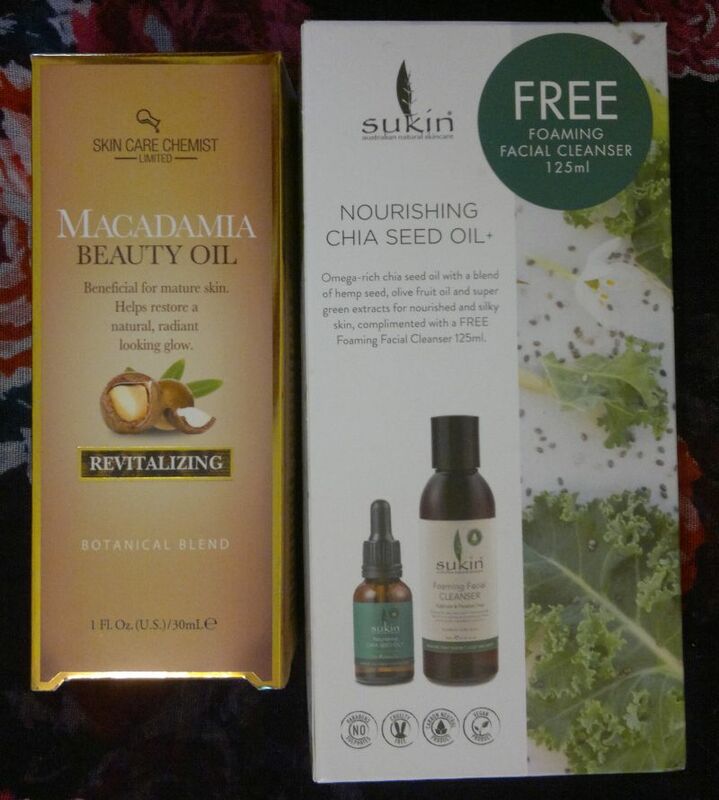 The last 2 products were £5.99 each, but there was a buy 1 get 1 free offer, so I paid £5.99 in total for the 2 Naturally Radiant products. This is everything I bought in September and October. It’s quite a lot, I think. 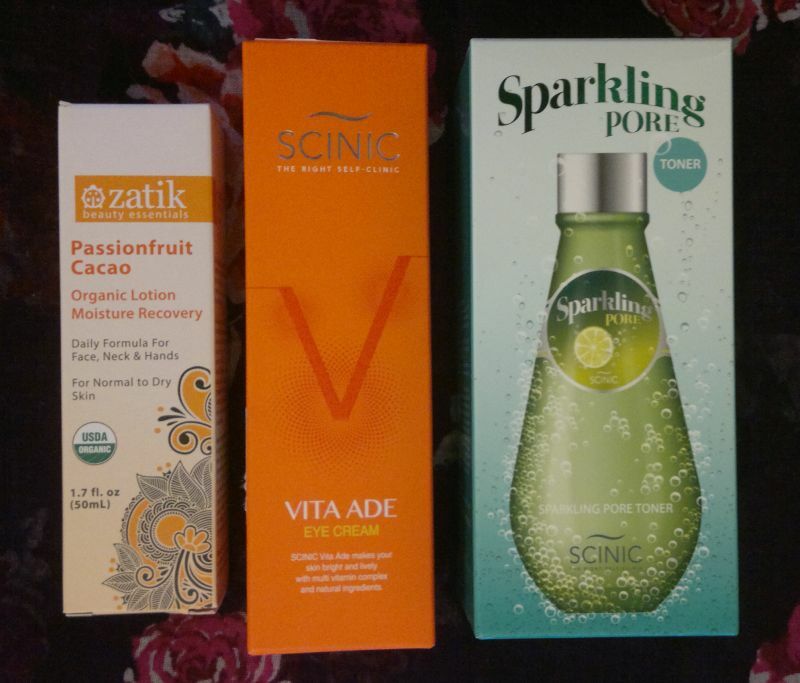 🙂 Have you tried any of these products? Or would you like to try any of them? Feel free to comment. And thanks for reading! It’s about the Super Facialist By Una Brennan Salicylic Acid Anti Blemish Pore Purifying Clay Mask that I picked up a little while ago. I think it’s quite obvious what the mask promises to do. However, I’ll summarise things anyway. So… this mask contains salicylic acid and Dead Sea mud – 2 ingredients known for their oil-absorbing and skin-purifying properties. 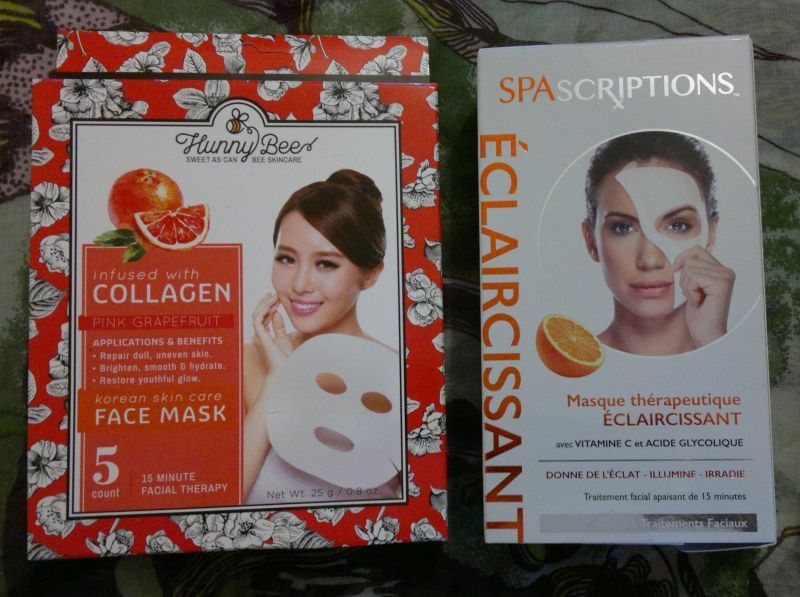 In addition, this mask contains acacia honey and vitamins A, D and E which rebalance the skin. All in all, this mask promises clearer and fresher looking skin. This sounds great! Does it work? Yes! This mask is really powerful! When I used the mask for the first time, I could tell that it would be awesome. The mask felt cool and slightly tingly – and it was pleasant. It wasn’t “too much” and it didn’t feel scary. It just felt good! And the results were quite impressive as well. This mask made my skin look and feel clearer and more even, it made my pores look smaller, and my complexion looked brighter as well. So yes, this mask does what it says on the tube! I would recommend this face mask to everyone who’s looking for a clear skin product that really works. The Super Facialist By Una Brennan Salicylic Acid Anti Blemish Pore Purifying Clay Mask is available as 125ml for £9.99 (Boots). I paid £4.99 (TK Maxx). 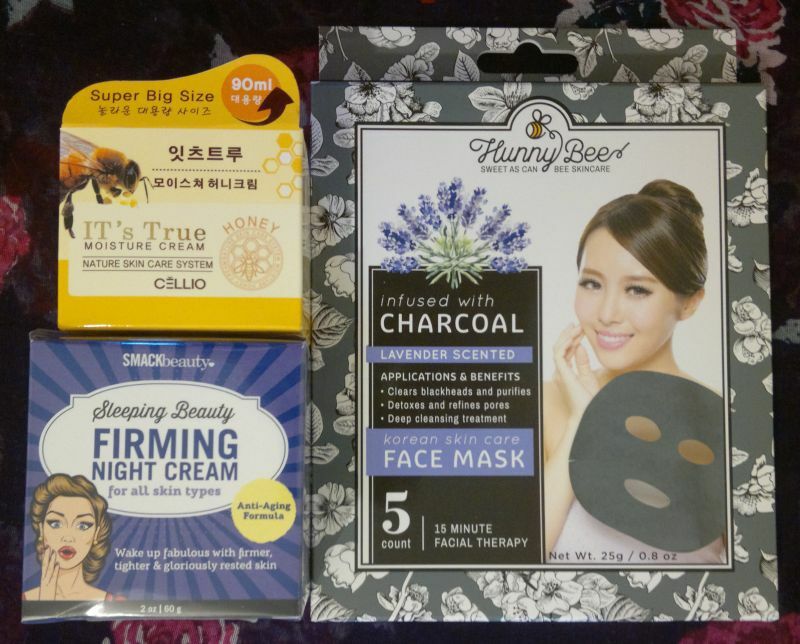 Have you tried this mask? Or would you like to try it? Feel free to comment. And thanks for stopping by! 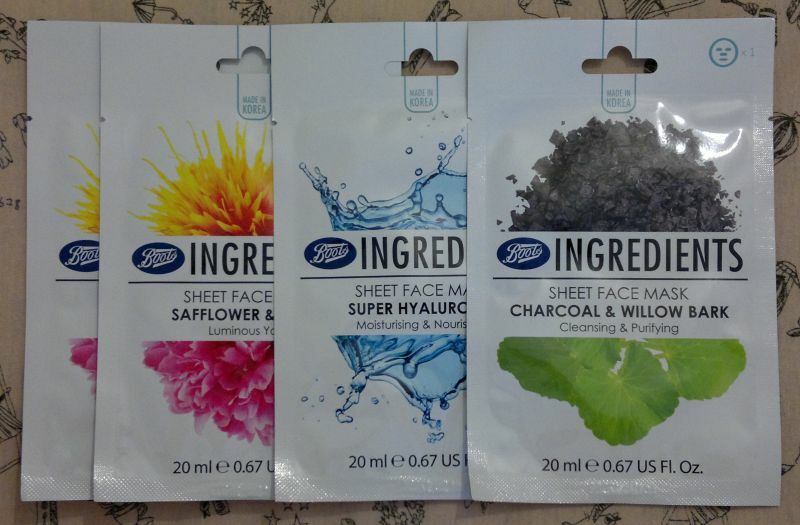 Boots Ingredients sheet masks are £2.50 each. But Boots ran a 4 for £3 promotion (Online only! ), so I had to buy 4. I would have been stupid not to take advantage of the offer! 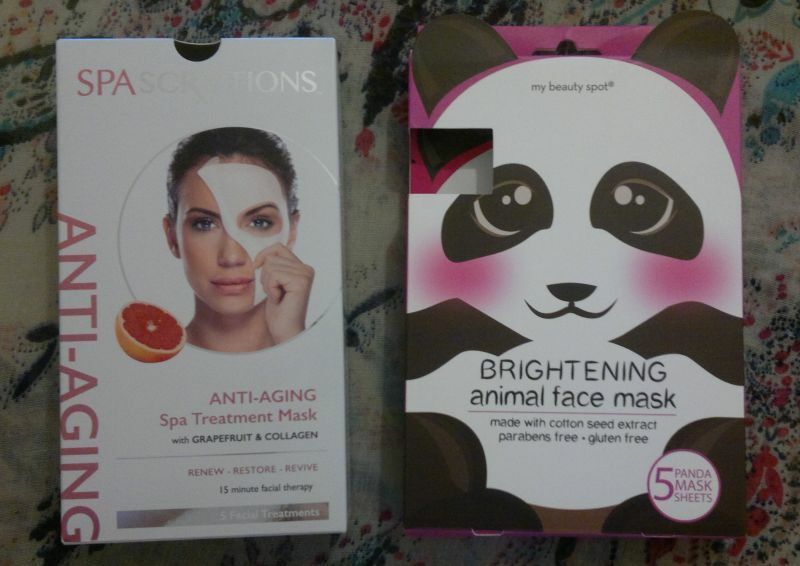 I opted for 2 Luminous Youth masks (had them before, loved them), 1 Super Hyaluronic mask, and 1 Cleansing & Purifying mask. I thought Montagne Jeunesse did masks (face, hair and foot masks) only. 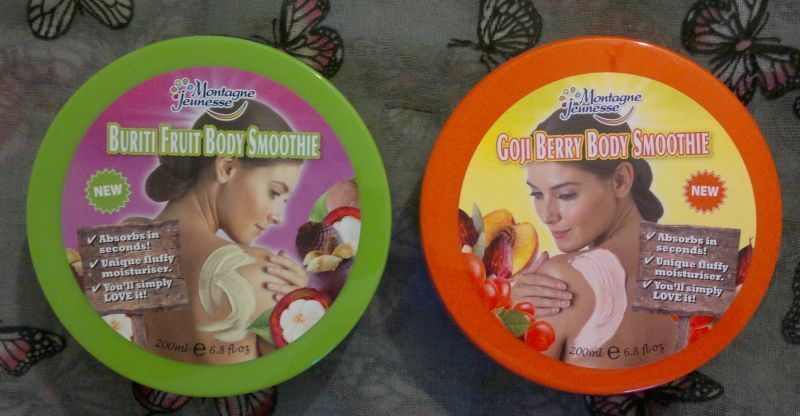 So I was surprised to find 2 body moisturisers at my local Poundworld store. I got a Buriti Fruit Body Smoothie and a Goji Berry Body Smoothie. £1 each. I was happy to pick up a L’Oréal Elvive Smooth & Polish Thermo Detangling Spray for £1 (Poundland). 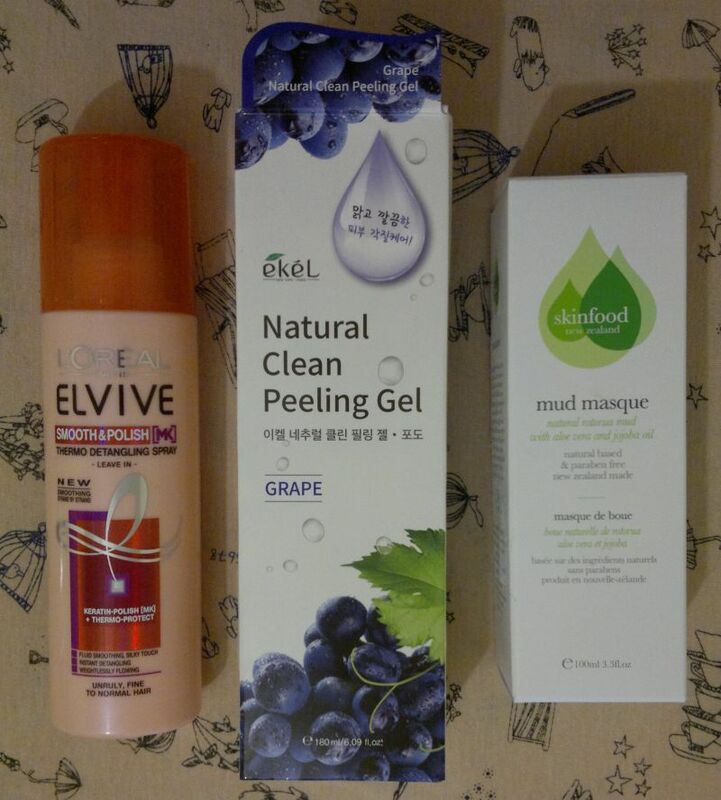 And I got myself an Ekél Natural Clean Peeling Gel with Grape (£4.99, TK Maxx) and a Skinfood Mud Masque (£4.99, TK Maxx). Two more Sukin products moved in with me! 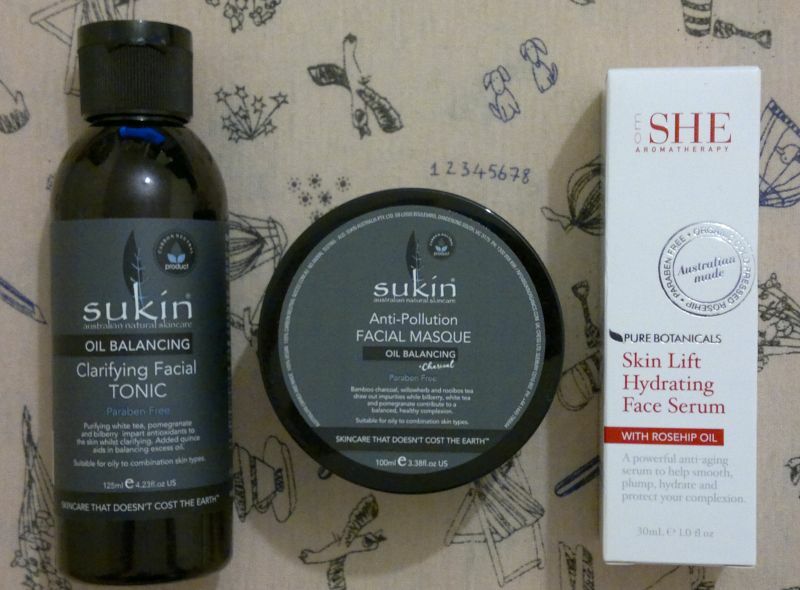 Sukin’s Clarifying Facial Tonic was £4.99 and Sukin’s Anti-Pollution Facial Masque was £5.99. The OM SHE Aromatherapy Skin Lift Hydrating Face Serum was £4.99. 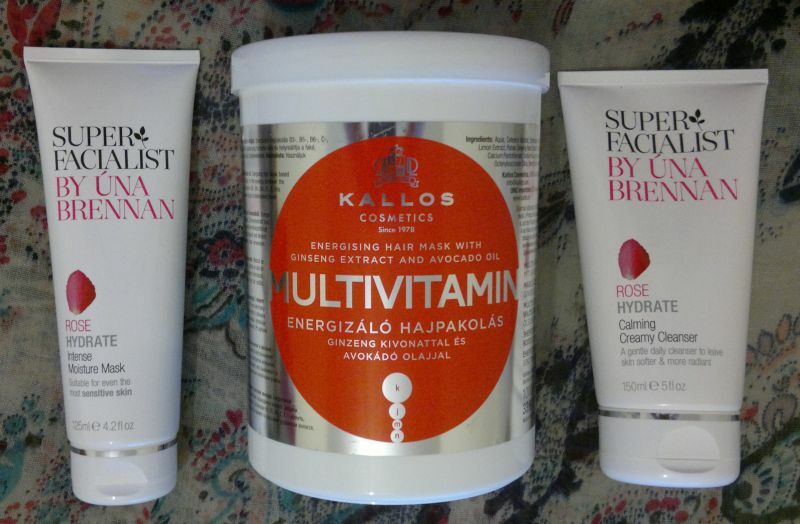 These 3 products came from TK Maxx. 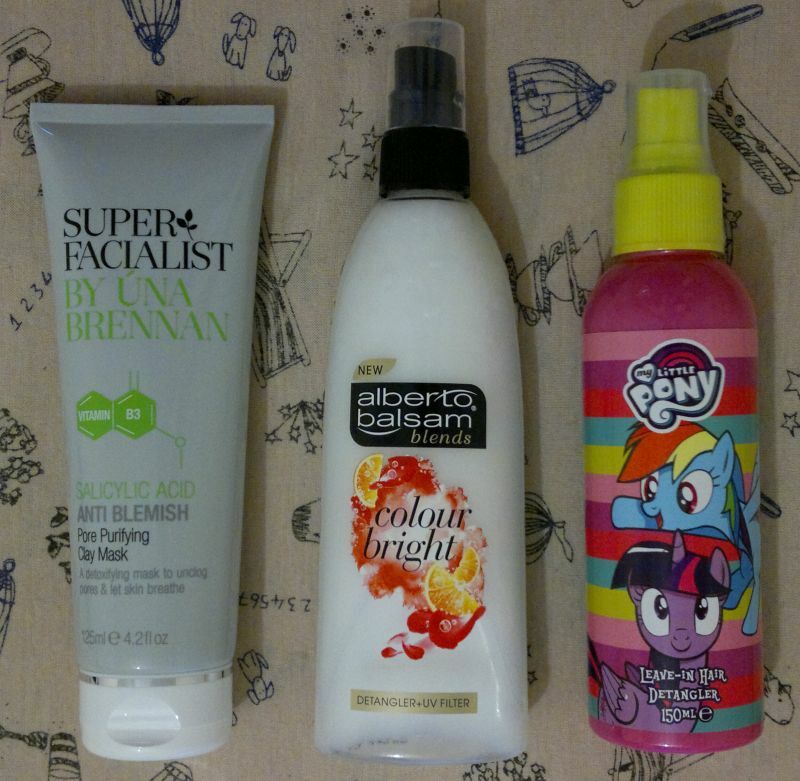 And these are the last 3 products: Super Facialist By Una Brennan Pore Purifying Clay Mask (£4.99, TK Maxx), Alberto Balsam Colour Bright Detangler + UV Filter and My Little Pony Leave-In Hair Detangler. 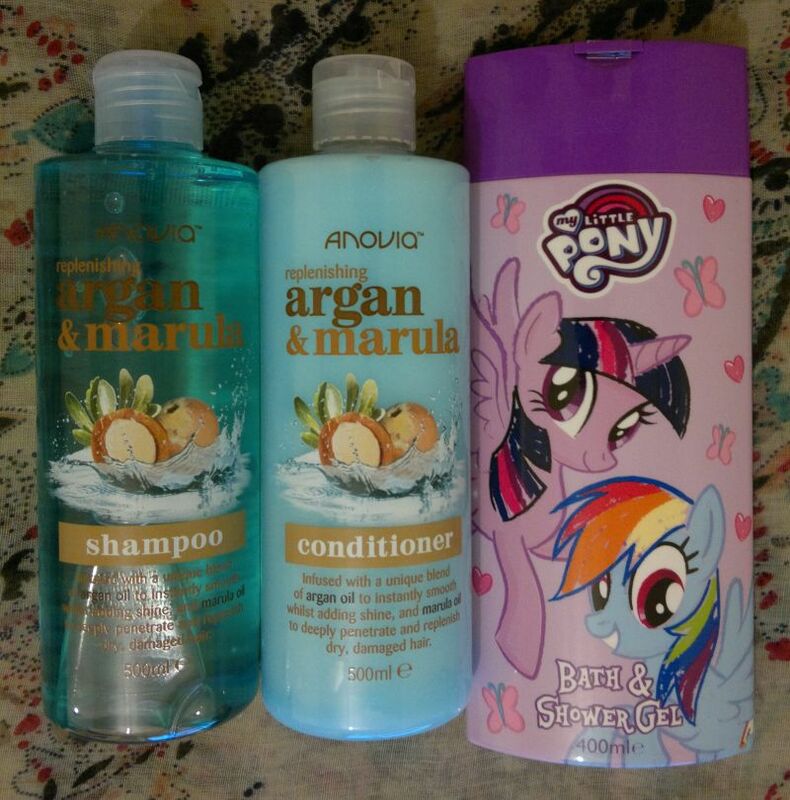 The 2 detangling sprays came from Poundworld, and they were £1 each.